Ryan Lochte Net Worth: How Much Money Did He Lose After the Rio 2016 Olympics Scandal? 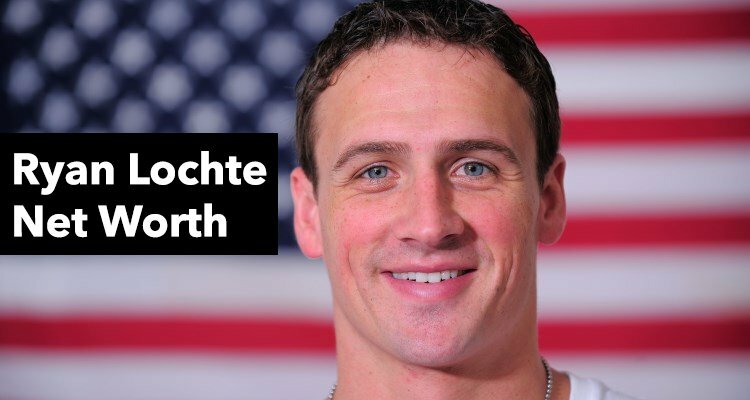 As an Olympic athlete, Ryan Lochte’s net worth was impressive. Unfortunately, that number took a nose dive off the board after his massive mistake during the 2016 Rio Olympics. How much money did Ryan Lochte lose? That’s the question we’re answering. According to official reports and statements, Ryan Lochte’s sponsors list is shrinking dramatically. How much is Ryan Lochte worth now? If you want to know more about the scandal and the athlete’s current worth, keep on reading. Olympic swimmer Ryan Lochte couldn’t get his fabricated story straight and it’s lead him into deep waters. He originally stated that during his time in Brazil, he and his three USA teammates, Jinny Feigen, Gunner Bentz and Jack Conger were pulled over in a cab near a gas station with guns pointed at them, and were robbed by men disguised as local police officers. It was alleged this event occurred around 4:00 a.m. on August 14, 2016. Further investigation concluded the majority of the story was false. It turned out the foursome was vandalizing a gas station by urinating on the property, and when armed security guards confronted them, they were required to pay for the damages. Other reports allege they were drunk and broke down a door. Whatever the true details were, it’s clear Lochte was telling tall tales. As if he was being chased by a shark, Lochte fled the country, leaving his shamed teammates behind. Headline: “Ryan Lochte Loses Endorsements” – that’s what you’re probably seeing all over the news lately. The consequences of his actions were severe, but before we get into how much he’s losing, some are wondering how much money does Ryan Lochte make as an athlete? It was estimated that as of 2012, Lochte was making an annual salary from USA Swimming of $30,000, but that’s peas compared to his sponsorship earnings from Speedo, Mutual of Omaha, Gillette, Gatorade, Ralph Lauren, Nissan, AT&T, and Procter and Gamble. From those sponsorships, he made an additional $2,300,000 in 2012! The amount increased after his golden performance at the 2016 Rio Olympics. It’s estimated his earnings grew two-fold, making his value $6 million dollars. To his misfortune, an estimate from Forbes stated Lochte could lose anywhere between $5 and $10 million from the scandal! Yikes! Which sponsors did he lose? Since news broke of his big mistake, most of Lochte’s sponsors no longer wanted to associate their brand with him. The consequence is expected as most corporations require their celebrities and athletes to meet basic moral standards of class, honesty, integrity, teamwork and excellence. The casualties: Ralph Lauren decided not to renew his contract, and Speedo USA and Airweave (Japanese mattress maker) ended their partnerships with him, as well. Speedo also announced its intentions to donate $50,000 of the swimmer’s pay to a Brazilian charity that works with impoverished children. Gentle Hair Removal, Lochte’s fourth endorser, also announced it would end their partnership. Despite his status as a gold medalist for the USA swim team, it looks like Lochte’s actions made him the smallest fish in the pond. For more information on the robbery scandal, watch the video here.